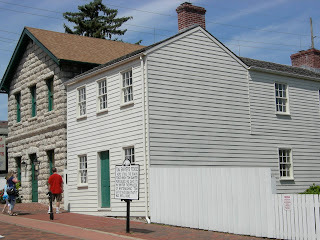 The Mark Twain Boyhood Home and Museum in Hannibal, Missouri is comprised of eight historical buildings including the Boyhood Home, a National Historic Landmark. 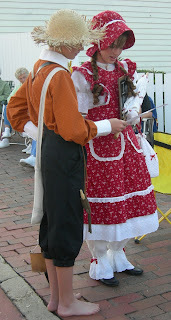 The Mark Twain Boyhood Home and Museum Blog is comprised of webpages, words, and pictures. Executive director, Dr. Cindy Lovell, maintains the blog while also working to maintain the buildings and artifacts with the help of dedicated staff, volunteers, board members and fans of Mark Twain. Thank you for reading! One of the greatest programs supported by the National Endowment for the Arts is The Big Read. The Big Read is a community event during which people of all ages and backgrounds come together to read the same book. One of the titles on the list is my childhood favorite, The Adventures of Tom Sawyer, and I am constantly thrilled when I pick up the phone and hear from someone in another community announcing they have selected this book. I've given keynotes and teacher workshops in many Big Read communities, and I'm thrilled to make new friends everywhere I go and have them come visit me in Hannibal. The Big Read is supported by the National Endowment for the Arts. Recently I had the privilege of visiting Irving, Texas and Alexandria, Louisiana, two communities that selected Tom Sawyer. Both communities planned family-friendly activities to involve everyone in reading, and I was thrilled to get to share the "real stories" behind the book - events, people, and places. That was the magic I discovered when I first visited Hannibal in 1996 - that there is very little "fiction" in The Adventures of Tom Sawyer. "Jackson's Island" in the Mississippi River is where the boys ran off to play pirates. lucky you'll see the occasional local resident like this little fellow. 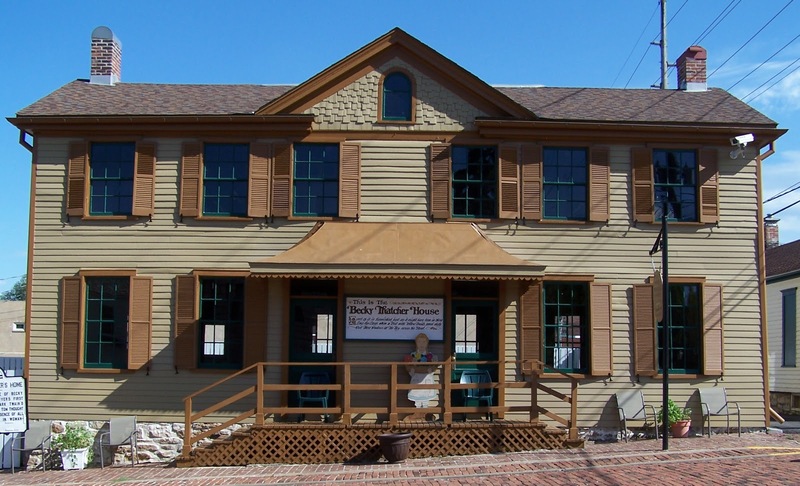 children's museum that tells the story of childhood in mid-1800s Hannibal. whose physical characteristics frightened the local children. In Hannibal today you will still encounter "Tom Sawyer"
and "Becky Thatcher" strolling the streets. For anyone reading The Adventures of Tom Sawyer today, you can do no better than to visit Hannibal, Missouri, where the stories started. 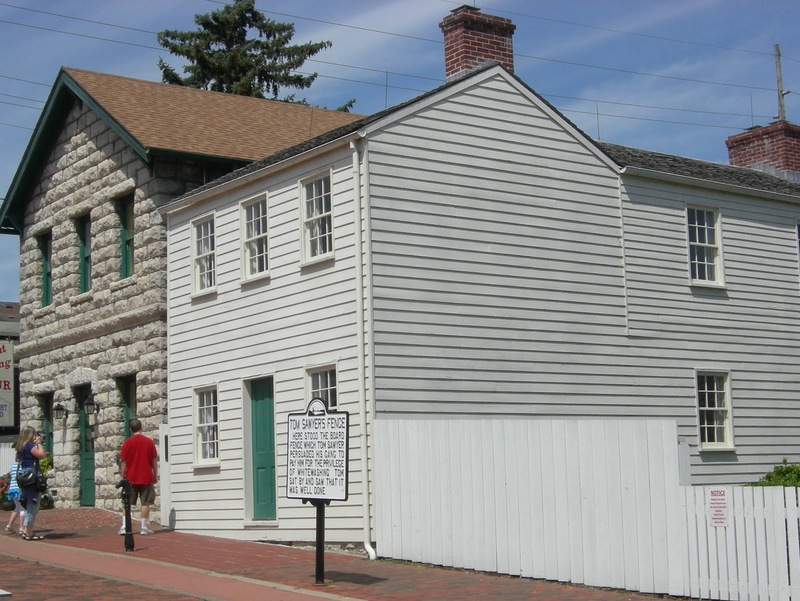 The Mark Twain Boyhood Home & Museum maintains nine historical properties, including the Boyhood Home of young Sam. You can come visit and see the very window where Sam would sneak out at night to go adventuring with his buddy, Tom Blankenship, who provided the model for Twain's beloved character, Huckleberry Finn. For parents, teachers, or anyone reading this book with children, if you can't make it to Hannibal, you can at least orient yourself using the virtual tours created by the Mark Twain Young Authors. This will give you some background story on the real people, places, and events that appear in this wonderful book. Grab a brush and help whitewash the famous fence! My Big Read adventures have taken me from to Carmel, California to Enterprise, Oregon to Ashland, Kentucky and beyond, and I look forward to visiting more communities and telling folks about the true stories behind Twain's fiction. Listening to the songs and stories on Mark Twain: Words & Music is a great way to learn about Twain's life, and the virtual tours give a glimpse into our historical town, but the best way to experience the boyhood adventures of Sam Clemens is to visit Hannibal. 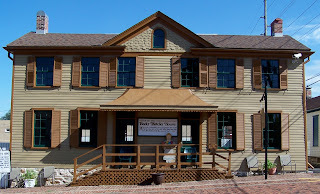 © 2010 marktwainmuseum.org. All Rights Reserved.